What kind of changes in the system we would have to do to deal effectively with the addiction problem ? Well... as I wrote in the previous articles somebody can be taken into hospital because they need help and basically there is no other way of dealing with them. But then you'll... this person can demand to be released from hospital any time and thus I have seen and heard about cases when a person got out of the hospital some 24 hours later and went immediately to get a beer or shot of vodka. The withdrawal syndromes are very strong and I understand why these people do it but in the end this person gets into the critical phase of exhaustion few days or 1-3 weeks later and then s/he needs to be taken again to the hospital. So now you may understand why doctors come with a "ridiculous" demand of accepting only a person who is stops drinking alcohol for at least 24 hours or even refuse to accept this person at all ? The doctors know and realize that this is only temporary solution and even if they would and could help more then they are helpless because a patient can demand to leave the hospital any time and they can even suede the doctor if s/he refuses. Thus we would have to make the changes within the legal system in such a way so that the doctors have more power and right to keep any person heavily intoxicated with alcohol, drugs or any other substances in the hospital for up to a 7 days period. The current legal system is not effective and that is why the problem is not being solved effectively. The doctors have their point within it but at the same time they don't understand that there is no other way to deal with the intoxicated person apart from treatment in the hospital literally as an emergency. But this is not the end of the changes within the current system and we would have to go much further. And I see that it would be necessary that any person that comes to hospital for detoxification for example 2-3 times within a year, should be obliged ( and we should enforce it legally ) to visit the psychologist or even attend a special enclosed few weeks training with psychologist and other specialist, which would assist and show these people how to deal effectively with their problem. This is like to point system for the drivers who continuously break the road rules. After certain limit they are being forced by the court to stop driving for a certain period of time and we know from experience that this is rather effective way of dealing with the problem. 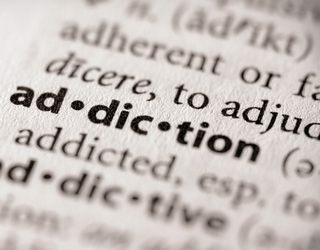 Thus why not apply the same rules towards the addicts ?